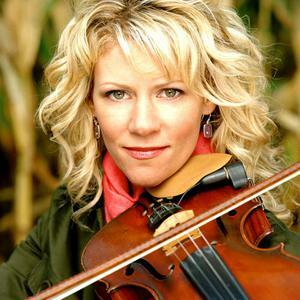 Natalie MacMaster (born June 13, 1972) is an award-winning fiddler from the rural community of Troy in Inverness County, Nova Scotia, Canada. She is one of the best-known musicians in the tradition of the driving cape breton fiddle music style, and has made a highly successful career as a touring musician, traveling to Europe and Asia and doing as many as 250 shows in a year. From a large musical family, she is the niece of Cape Breton fiddler Buddy MacMaster and the cousin of musicians Ashley MacIsaac and Andrea Beaton. MacMaster has toured with many famous performers, including the Chieftains, Faith Hill, Carlos Santana and Alison Krauss. She has appeared at many music festivals worldwide, including the Celtic Colours festival in Cape Breton, Celtic Connections in Scotland, and MerleFest in the United States.